A lot of people like to stay busy and plan ahead. Some people are good at it. Kim Darden and her family are experts with a can-do attitude and the remarkable ability to find happiness in everything they do. For Kim, that upbeat attitude has always been part of her DNA. A Sheldon High School graduate, Kim got her degree back in the 1990s, joined the pharmaceutical industry, and began raising a family. “I joined the credit union when I was in college,” Kim said when asked about her membership. It wasn’t long until she and her husband opened a business account at Northwest Community Credit Union and started their own real-estate rental empire, as well as a business modifying homes for those with specific physical needs. Today, the couple still owns and manages several of their residential properties with an eye to the future. The Dardens plan to use those properties to fund their kids’ college educations. While their boys may be years away from their undergraduate studies, they’re busy learning from their parent’s entrepreneurial spirit and the credit union account Kim and her husband opened for them when they were young. The couple’s oldest son has already started his own business. He calls it Shoe Shine Shae. 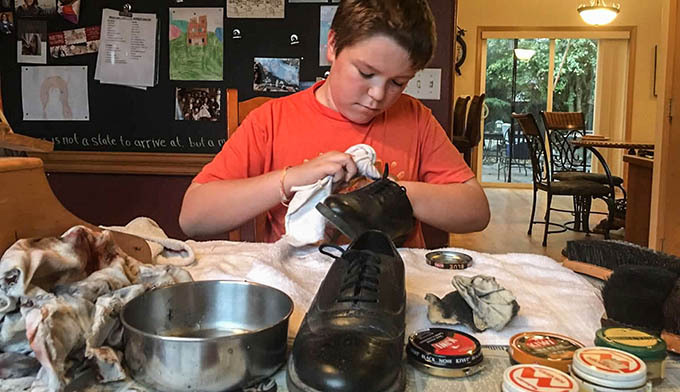 He started the business after he came across a shoe shine kit at a garage sale. Shae was instantly bitten by the same entrepreneurial bug that had gotten to his mom and dad years before. 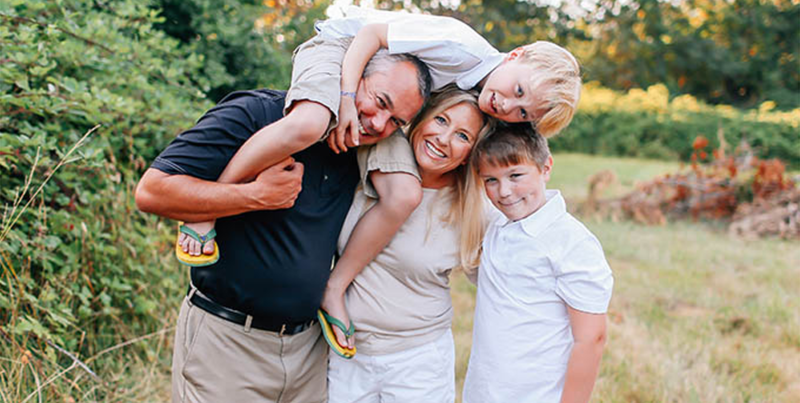 At Northwest Community Credit Union, we enjoy hearing about members like the Darden family and how they put their trust in us with their uncommon financial lives. Kim and her husband have used their membership to run their small business, teach their kids about money, finance a car or two, open a line of credit, and plan for their family’s future. We’re proud to be a part of it. We’d be honored to help you and your family, too. We offer low- to no-cost financial products and services that are packed with benefits instead of fees, like the Northwest Visa® Rewards Card that gives you the freedom to buy what you need and earn points with every purchase.